Howard Engel is a writer most known for his fiction, and here in his first foray into non-fiction, it shows. And it’s really quite delightful, as far as books about death go. His presence in the text can be felt so much that it’s positively gonzo, and some parts of it read more like the narration of a movie than a book, as he takes you here and there to show you different things and introduce you to different people. I’m sure you’ve noticed how much I appreciate personality in writing style. It’s important to me. It really can’t be underrated and I have to say that this book is extremely successful in this area. Howard Engel comes across as very friendly and highly interested in his chosen subject. Now there is of course a flaw here that unfortunately nobody could avoid, and that’s the fact that the information the book is about can be very hard to come by. It tries very hard to introduce us to certain executioners and give us a bit of a bio and understanding of their personality. This is fascinating and exactly why it’s being written about. But part of that fascination comes out of mystery, and some mysteries just weren’t meant to be solved. 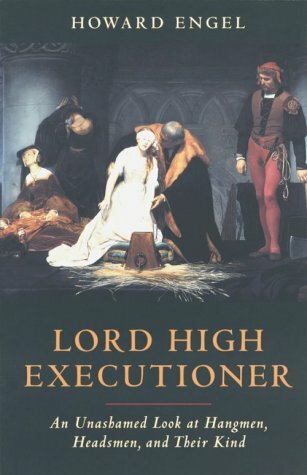 Not very many executioners are known to us, so as a result we get a lot of more general information about how and why executions were performed rather than the book being completely devoted to specific people. But even here, the author makes the most of it. 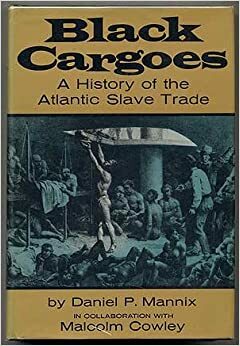 While most books focus on Western Europe to the point of excluding almost every other part of the world, Engel has done his best here to bring us some diversity and show us a bit about capital punishment in other countries such as Canada and Japan. Could this be because the book itself is Canadian? Probably. But that doesn’t mean we can dismiss it. It’s very refreshing and something we really should see more often. Dare I say this book was a fun read? Yes. Because as long as we’re not the ones getting killed, death as a general area of interest can’t not be deeply fascinating. It’s mysterious. It’s scary. It’s why we love horror movies. And this is really about as close to that kind of little ride as a non-fiction book can get. And isn’t it so much better when it’s real anyway? Totally. Other recommended reads: The Last Gasp, Edison and the Electric Chair, Public Executions.